Mont Saint-Michel is a well-known island commune of the coast of Normandy in France. Originally, the commune was founded by an Irish hermit who had gained a following on the mainland. In the past it was used as a stronghold in the sixth and seventh centuries. Local legend says that the archangel Michael appeared in a vision to the bishop and told him to build a church. 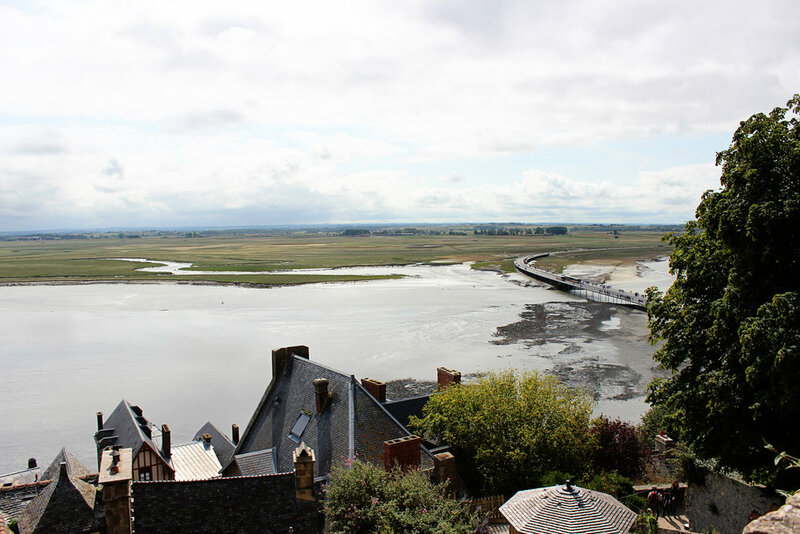 Currently, it was one of the most visited sites in France and loved for the trek from the mainland to the island during low tide. 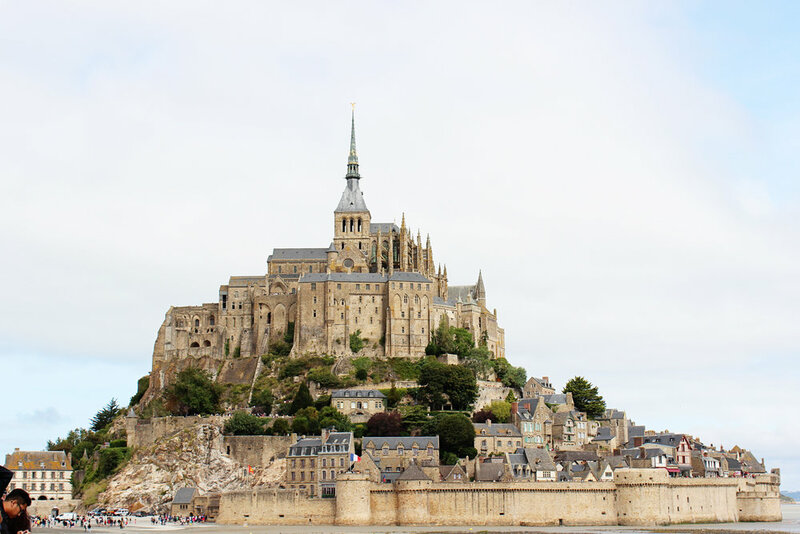 I remember seeing a photo of Mont Saint-Michel in a book when I was a kid and promised myself I would visit one day. There is definitely a sense of awestruck wonder when you approach the island, but unfortunately that disappears when you make it onto the island. Droves of people and are bussed onto the island, overloading the small space with tourists. It was a little unbearable and hard to enjoy. Even though, the experience on Mont Saint-Michel wasn't my favorite, I'm still glad we went because it's such a unique and beautiful place. It's worth a visit even if there are tons of tourists. 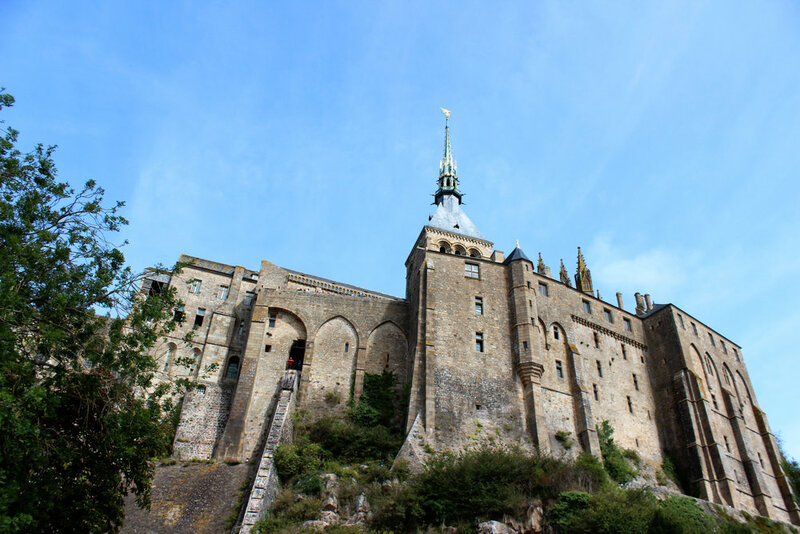 Normandy is beautiful and there is enough to do in the area to entertain.